This is based on a Laotian dish and should really have toasted rice powder. It should have toasted chili powder too, but sometimes you just have to work with what you have around the kitchen. This version is worthy of a regular appearance on your table regardless. As a main course, plan to serve two with it. Place chicken in a pan on medium-high heat, turning and crumbling apart until cooked through. Remove from heat. Transfer chicken to a bowl with all remaining ingredients except lettuce and cucumber. Toss well to evenly combine. 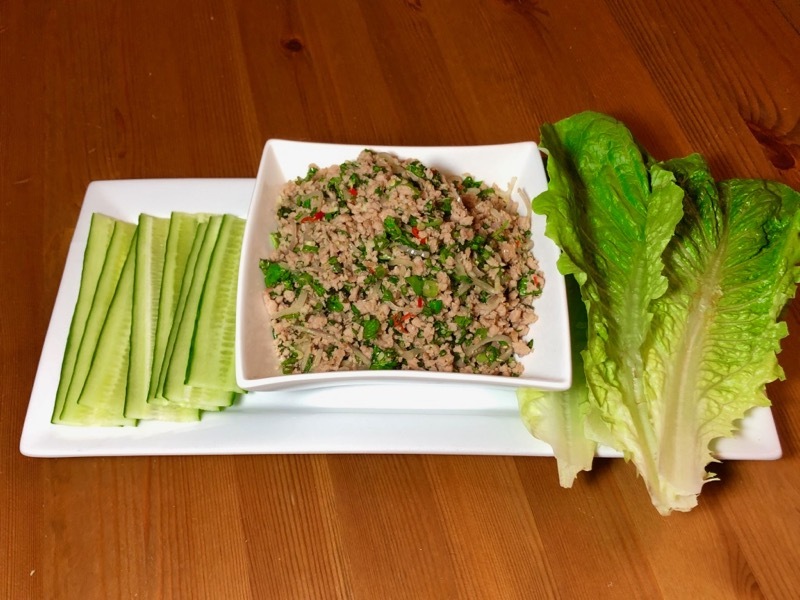 Move mixture to a dish, serving immediately with lettuce and cucumber.